PulseWave is back and it's better and more refined to give you the most incredible audio gaming experience ever! Your fellow gamers gave PulseWave an incredible endorsement by making it our best selling gaming headset. Now we are pleased to present the new redesigned PulseWave with all the right tweaks, component upgrades and improved comfort for hours of continuous play. 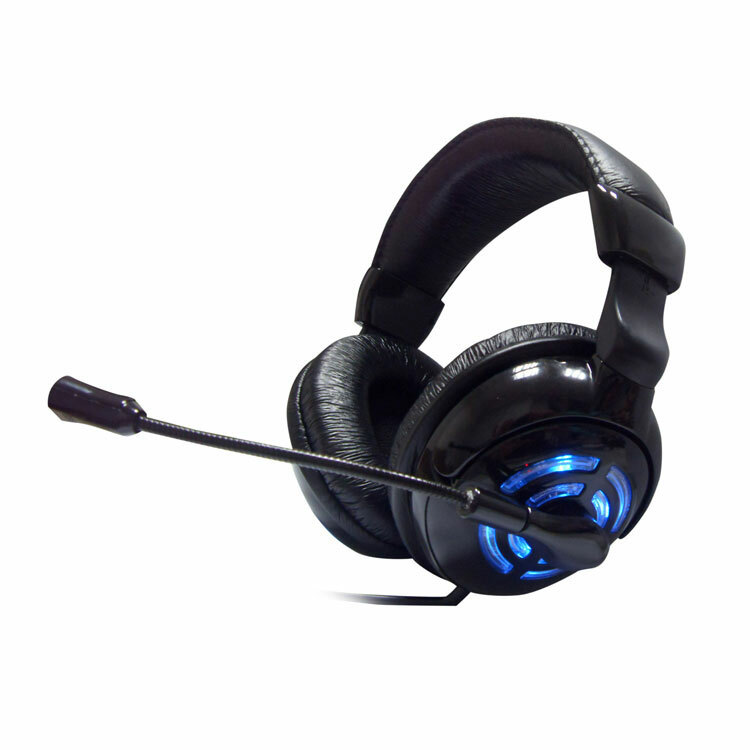 ''The Most Versatile Gaming Headset Ever Made for PC! ", is a claim proudly supported by our specs. To start, PulseWave V2 sports both Virtual 7.1 Surround Sound and Stereo audio output which you can change with a ick of a switch! The list of useful features is robust all the way down to an elegantly simple detachable microphone. With PulseWave V2, your game audio not only sounds great, it feels great too due to ''Sonic Force Feedback'' vibration effects. 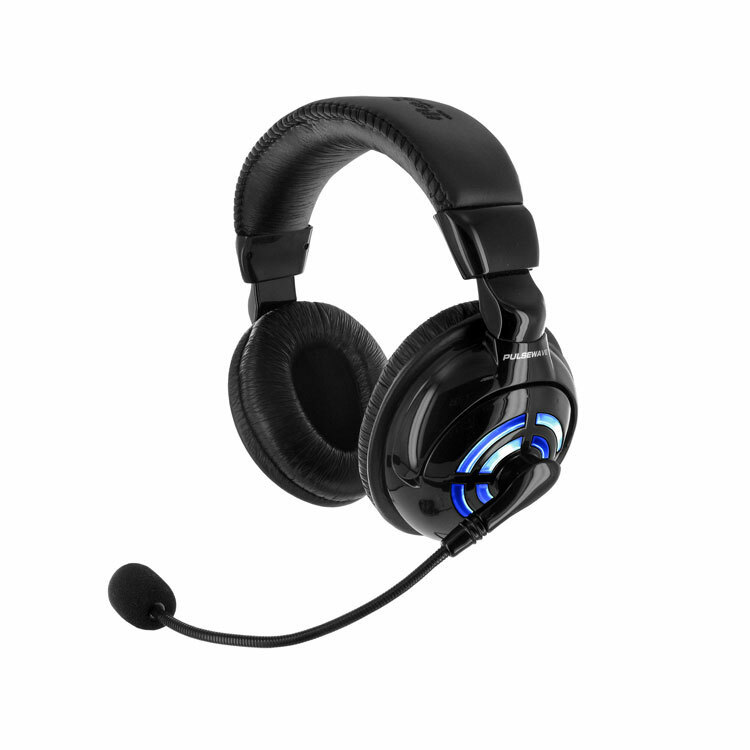 This gives the gamer a realistic and uncompromised audio experience. In addition you get an awesome pulsating light show on each ear cup based on the intensity of your game action. The dynamic variety of lights not only look cool they let your friends know you are in the middle of an intense firefight! - USB or Standard 3.5mm Mini-Jack connectors. - Master-Mode and Sub-Mode switches. - Detachable, Full Duplex Microphone with Mute button. - Vibration intensity adjustment control. - Sound volume adjustment control. - Fully Adjustable Headband with Padded Leather Cushion. - Soft & Comfortable Full-Surface Ear Cups. - External Battery Pack to power your lights and vibration away from your computer. As versatile and feature packed as the PulseWave V2 is, you can also listen to your iPod or other MP3 audio device in beautiful stereophonic sound. 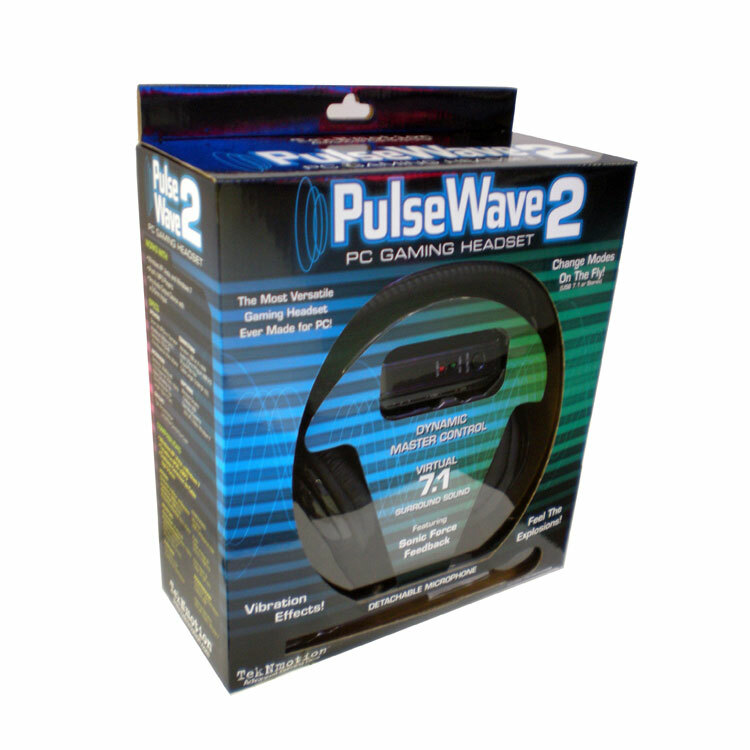 As you would expect, PulseWave V2 is Windows XP, Vista and Win7 compatible.